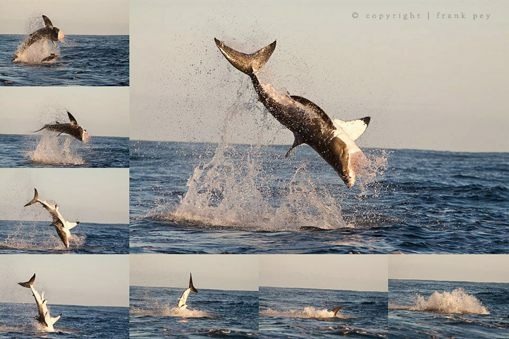 Breaching activity takes place during the South African winter months, June – August, and our shark breaching and diving combined trips are only offered during the breaching season. Breaching is a hunting technique of the great white shark whereby these majestic creatures propel their entire bodies out of the ocean in pursuit of their prey. Exact times vary due to seasons, tides, sea and weather conditions, number of daily trips, shark activities, etc. 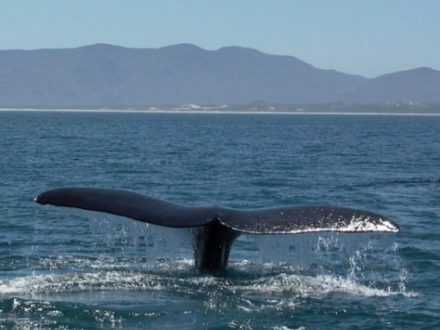 Breaching/diving trips are offered during the winter months from June to August. Trip meeting times range from early morning to midday. The duration of the excursion from your time of arrival at our premises to your time of departure is approximately four and a half hours. The time spent at sea from launch to return to the harbour is approximately 2 – 3 hours and the exact dive/cage time as well as the number of dive sessions differ from day to day, depending on shark activity and sea conditions. When making your booking, please ensure that you have the full day available for this excursion as we cannot guarantee start or finish times in advance. A maximum of 12 and a minimum of 6 passengers are taken on breaching trips. 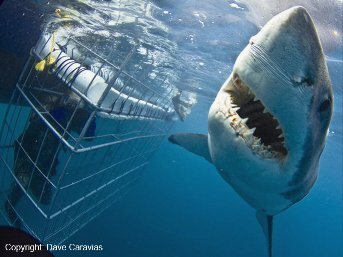 If we are not able to confirm the breaching component of your trip due to weather, sea or operational circumstances, we will give you the option to convert your trip to a standard shark cage diving trip. Trip from Cape Town is roughly 2.5 hours. Trips are subject to daily weather and sea conditions and start times will vary accordingly. Start Point Pickup: Optional collection from your accommodation in Cape Town or close surrounds. Arrival at White Shark Diving Co at 9 Kusweg, Kleinbaai Harbour, Gansbaai. Breakfast/lunch, beverages and safety briefing before the boat departs. Breaching tour, by which we attract breaching activity by making use of a decoy. Guests take consecutive turns in the 8-man floating cage for an up close and personal experience with Great Whites. 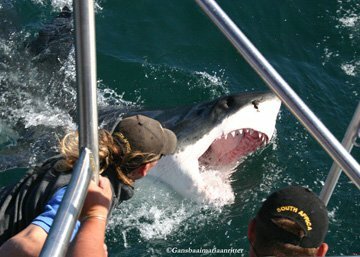 When not in the cage, guests can enjoy onboard refreshments and sightings of great white sharks and other sea life from the viewing deck of the boat. Anchor is lifted and the skipper heads back to the dock. Back at the WSDC crew house, guests enjoy a late lunch while watching the video footage of their trip. 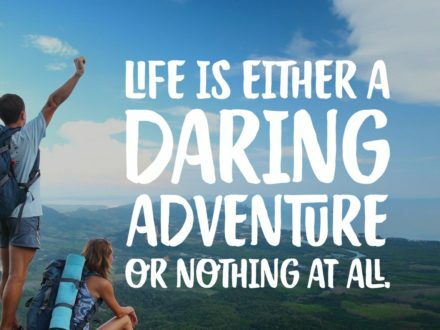 Enjoy the scenic drive back to Cape Town in our Wifi enabled shuttle or depart at your convenience with your own vehicle. The cage will be lowered, wetsuits provided, and video footage taken when shark activity allows for cage diving to commence. The captain is authorised to make any changes to onboard trip activities based on safety measures and shark activity. Shark activity takes place on and just below sea level. No scuba gear or diving certification is required as the free-floating cage is attached to the side of the boat. Sharks are extremely sensitive to vibrations caused by air supply and the breath-holding method is the most effective way of enjoying close encounters with sharks. Kindly bring your own towel as we are deeply committed to all conservation efforts during the current water crisis and will have minimal towels available. Underwater digital camera rental (including memory card, which you take home with you). Video footage of your trip available for purchase. Alternative meal options for passengers with specific dietary requirements, by prior arrangement only. We generally have shark sightings through the year, however, please bear in mind that sightings of wild animals can never be guaranteed. 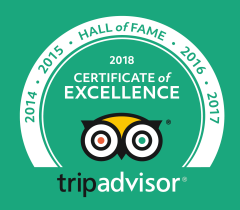 In the unfortunate event that no sharks were sighted during your trip, we do not offer refunds but we will provide you with a non-transferrable voucher (valid for two years) allowing you to join us for another trip free of charge on a date of your choice (dependent on availability). Private vehicles/road transfers or helicopter transfers are available on request.